Did you know that The Boy’s Store also stocks toys? We carry several Melissa and Doug toys and puzzles perfect for gifts or to add to your own collection of toys and games at home. Melissa and Doug toys are great because they are earth friendly and geared towards learning. 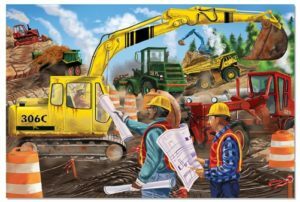 The Boy’s Store offers several Melissa and Doug Puzzles that will help to keep your kids busy during those days they cannot go outside to play, or during quiet time at home or on the go. Check out some of the amazing puzzles we have in stock now. Construction Floor Puzzle by Melissa Doug: This floor puzzle is a favorite amongst boys that love construction vehicles. It is great for ages 3 and up, it is a 24 piece puzzle perfect for fun and learning. World Map Floor Puzzle by Melissa Doug: Are you looking to teach your kids about the world? Geography is such an important part of learning. This puzzle will help kids gain a better understanding of the world around them. 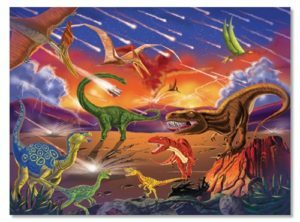 The End of An Era Jigsaw Puzzle by Melissa Doug: Dinosaurs! Most kids are fascinated by dinosaurs. This fun puzzle gives them an idea of what dinosaurs looked like and how they might have interacted with one another. 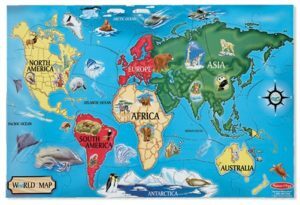 This entry was posted in Learning, Shopping and tagged Activities, construction, dinosaurs, education, fun, geography, learning, learning puzzles, melissa and Doug, puzzles, the boys store, Toys, world map on January 28, 2017 by Lacy. We love to work on learning at home. Although we love that our children are in school and we think they have fabulous teachers we also know that we are their teachers too, and the most important ones they will have throughout their lives. So we try to do a little bit of homework with them, we stay abreast of what they are learning in school, and we try to bring in fun and non-traditional ways of learning. We love our iPad. It has been a virtual God-send. Our children enjoy playing “games” with us on it. But what we have done is brought in games that are educational. It can be difficult to decide which are helpful and which are not, and of course no matter what it is still screen time so you may want to regulate it, but with the proper use the iPad can be a great virtual classroom. We have a few favorites that we enjoy doing and are very excited to share. Disney Imagicademy Math World: add, subtract, sort, count, and learn shapes with this Disney app. All of your favorite Disney characters are here to help you and your kids play and learn to count by ones, twos, tens, and more. Subtract and add with Mickey and Donald. Learn shapes with Goofy! It is loads of fun and comes with a trial app so you don’t have to pay full price if you don’t like it. MathBlaster: this fun arcade game lets you blast math equations, work out the sum and you get to blast away the answer. They shoot missiles at you and you must swerve and solve to thwart your enemies! Weird but True: from National Geographic Kids comes a great app that lets you learn and interact with a list full of Weird But True facts. These fun facts are a little insane, a little quirky, and a lot of fun to learn. 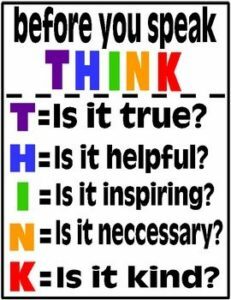 Your kids will enjoy learning them and sharing them. Virtual Frog Dissection: this is really for older kids, but if you have a younger kid that is interested it is actually quite fun and informative. A great alternative to real dissection it teaches anatomy, classification, appearance, eating and living, life-cycle and more. It’s a great virtual hands on learning tool. This entry was posted in General and tagged education, educational toys, iPad apps, learning, learning activities, learning in play, learning tools, math, science, science and boys, the boys store on April 7, 2015 by Lacy.